Mother-to-be Flamingo is making the most of her limited racing opportunities and enjoyed success at Wellington this afternoon. 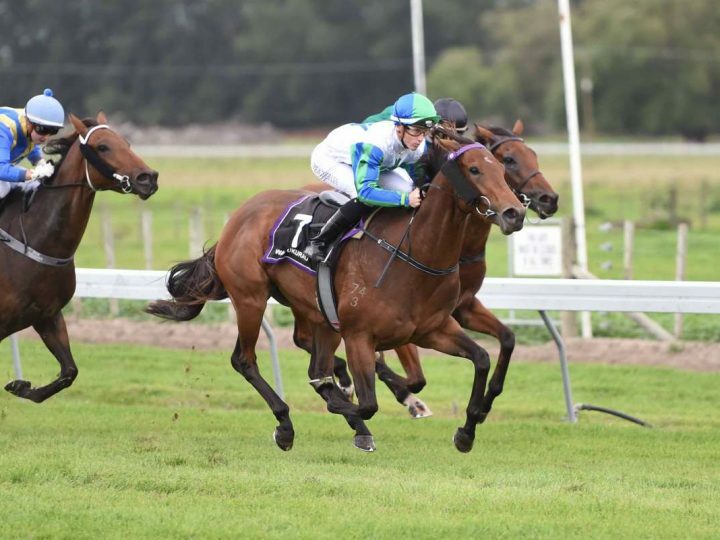 The Waikato Stud-bred and raced daughter of Pins has now won five times and will have one more chance to add to her record. “She’s really well and improved since she got in foal,” said Emma Haworth, who trains the five-year-old with her father David. It will be a final shot to add further black type to her record, having placed in the Gr.3 Cuddle Stakes and the Gr.3 Cambridge Breeders’ Stakes. Flamingo settled midfield on the fence under rider Sam Collett and she accelerated quickly to easily lift the Douro Cup. “She gave me a lovely ride in transit and when the gap opened I had plenty of horse,” she said. Flamingo, who is in foal to Savabeel, is out of the Listed Warstep Stakes winner Bird, also the dam of the Singapore stakes winner Preditor. It is the family of the Gr.1 Auckland Cup winner Chenille. Waikato Stud will offer an Ocean Park colt (Lot 600) out of Bird during Book 1 at Karaka next week.